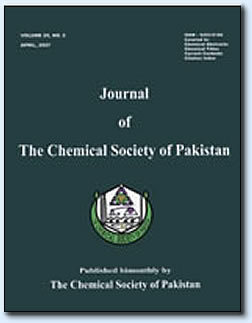 Journal of the Chemical Society of Pakistan was launched in 1978. 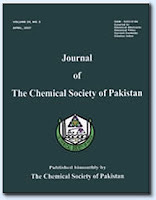 This journal covers different research areas in the field of Chemistry. 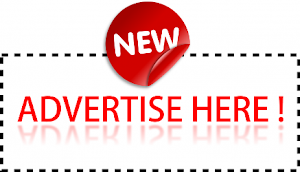 These include; Analytical Chemistry, Applied Chemistry, Biochemistry, Environmental Chemistry, Industrial Chemistry, Inorganic Chemistry, Organic Chemistry and Physical Chemistry. The journal publishes full length articles and Reviews from researchers in academia in addition to featuring comments. Chemical Research presents short, concise and critical articles offering easy-to-read overviews of basic research and applications in all areas of chemistry.